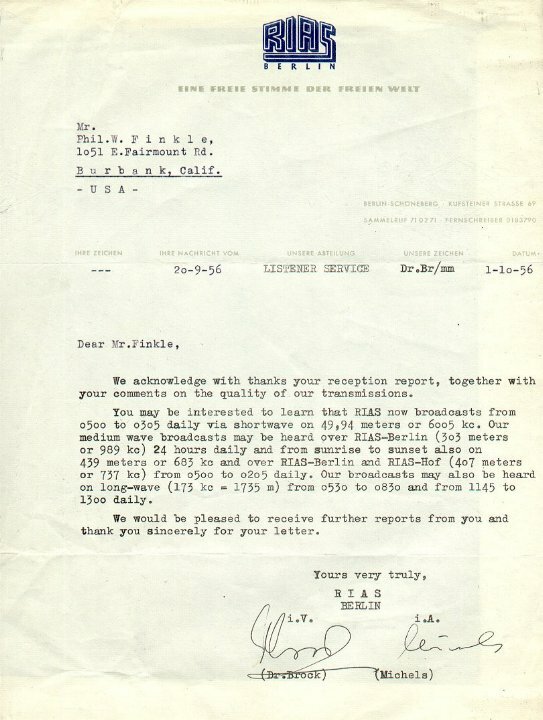 QSL letter from RIAS (Radio in the American Sector) on 19 September 1956 on 6.005 MHz. Power was 7500 watts. This verification letter is from RIAS in Berlin whilst Berlin was still under four power administration (US, Britain, France, and USSR). West Berlin was in island off freedom totally surrounded by the communist German Democratic Republic. This station was very difficult to receive on the West Coast.